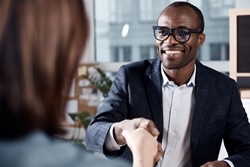 Accounting for Short, Long-Term, Temp Staffing | MD | D.C.
Smart staffing firms know that the right CPA will be a strong financial partner who contributes to their success. If your firm is lacking the leadership of a professional that really understands its inherent financial challenges, contact Graber & Associates. We design customized accounting solutions for short-term, long-term, and temp staffing firms. We’ll handle your daily accounting functions, prepare budgets and financial projections, and form a strategy to reduce tax exposure so you retain more of your profits. As experienced CPAs and business advisors, we know that it's not just about the numbers but what the numbers mean. When you become our client, we’ll bring clarity to your financial statements so you’ll be able to identify trends, eliminate unnecessary expenses, and plan for the future. If you’re pondering a critical business decision, we’re right where you need us to be, in your corner. We make it our business to know your business so you get the best advice available on how your next move could impact profits or incur tax consequences. Let our team join your team! Call us at 410-466-3779 now and tell us about your staffing company or request a complimentary consultation online and we’ll contact you.